These Terms and Conditions of Sale govern the sale of products by Paropamiso Venice snc and ensure maximum transparency and clarity in the relationship with customers. All sale and purchase transactions between the Seller and the Customer shall be governed by the following General Terms and Conditions. Customers who intend to purchase and use the services on the website must first register. During registration the Customer shall state that they have read the Privacy Statement and that the personal data are true and accurate, thus taking full responsibility for the information provided. The customer is required to promptly inform the Company should said personal data vary. The agreement between Paropamiso Venice snc and the Customer shall be understood as concluded even if it is only partially executed. By making an order the Customer implicitly states that they have read all the information provided by them during the purchase procedure and that they accept the general terms and conditions of sale. The e-commerce system adopted by the website www.paropamiso.net is designed to guarantee maximum transparency for the customer. The Customer will be promptly informed of any problems with product availability and/or delivery times. Paropamiso Venice, by agreement with the customer, reserves the opportunity to partially execute the orders received depending on the availability of the products in stock. Please note that the images and information contained in the product descriptions are indicative and sometimes may not fully correspond to the item's actual characteristics, particularly with regard to colour, even though the Company pays a lot of care and attention to this. At the end of the order process the Customer shall receive confirmation by e-mail indicating the order number. The Customer may cancel an order that has not yet been processed by telephone or by e-mail to info@paropamiso.net. In special cases Paropamiso Venice reserves the right to request a deposit before processing the order. 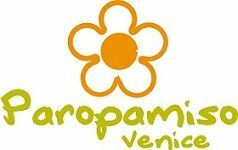 All the prices indicated on the website www.paropamisovenice.com are in Euro and do NOT include VAT. These prices may be subject to change without notice. Shipping is paid for by the Customer and takes place exclusively via Express Courier. The goods travel at the Customer's risk. For more information about shipping rates, insurance and delivery times, please refer to the Shipping page. Upon receipt of the goods the Customer must immediately check the state of the package and, if necessary, express any reservations to the courier. and the relevant invoice number. Returns that do not meet these requirements shall not be accepted. to the Court of Venice.